Hello everyone! 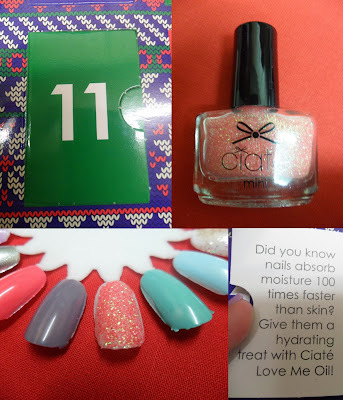 We have just got past the second week in Ciaté Mini Mani Month and I thought I’d show you what I have received! This is a lovely grey colour, with a hint of purple. I absolutely love this colour, I’m weirdly a big fan of grey polishes! I was excited to receive this in my calendar as I wasn’t expecting it! 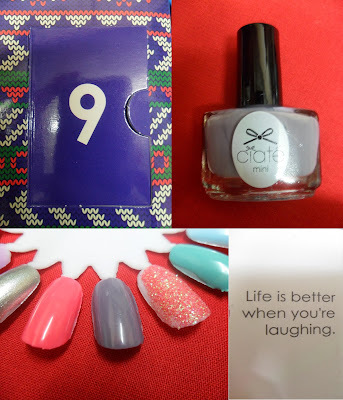 I’ve never had a ‘higher end’ brand of top coat (except Essie’s Matte About You) so I’m excited to use this. This is an amazing girly glitter, it would look so good over any pink polish! I can’t wait to use this. I already have a full size bottle of Pepperminty, and you can see my review of it here. 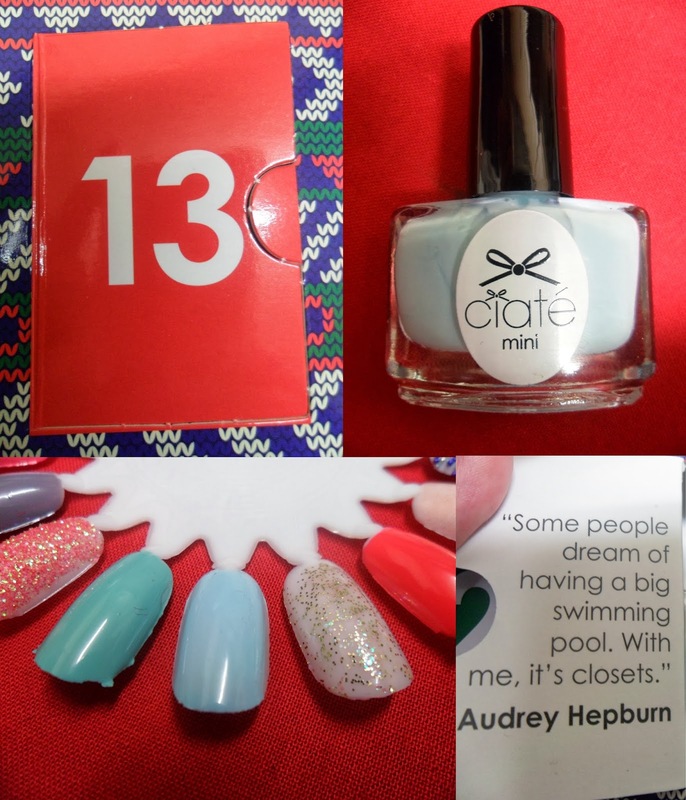 This is a gorgeous pastel blue colour, which will be perfect for Summer. Also, for wintery icy snowflake manicures! A beautiful gold glitter top coat. This would look beautiful layered over Boudoir for a Festive manicure. This is a darker bright pink (I hope that makes sense) and it’s extreeeemely girly! I have no idea when I’ll wear this but I’m sure I will at some point. 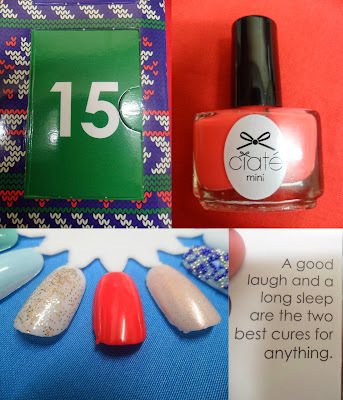 Hopefully more Mini Mani Month fun from me on the 22nd! 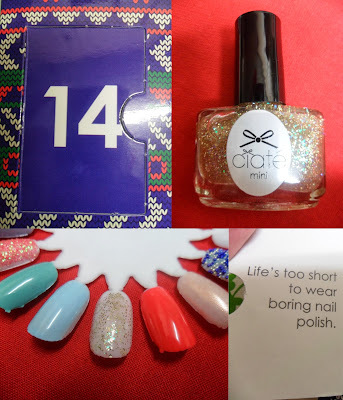 Next Post I love Christmas!